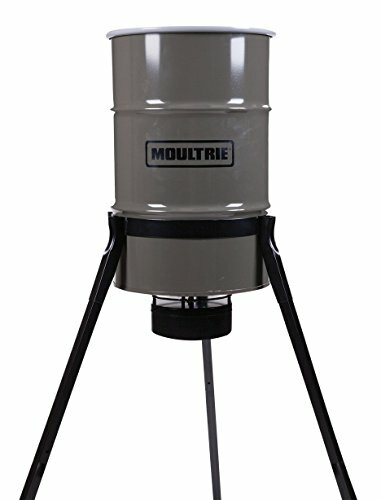 Built strong to last long, this durable feeder from Moultrie’s premium Pro Magnum line is backed by a lifetime warranty. Enjoy superb protection against even the most determined pests with all metal parts, including a varmint guard that prevents birds, squirrels and raccoons from raiding your feeder. Now with new square legs that enhance its stability and a belly band designed for easy assembly, this feeder also features a metal spin plate with raised edges, to protect feed from the wind. A dual-battery compartment can hold an extra 6-volt spare while a built-in battery indicator lets you know when they need changing.